Mon-Tue from POA , Wed from £2,000 & Thu from £7,500. 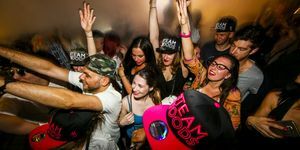 Fridays & Saturdays from 10pm to 3am From £3,000. 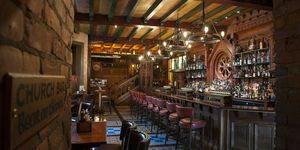 A stylish cocktail bar, eaterie and club with outlandish and flamboyant design, bespoke cocktails, eclectic food fare and most importantly the most fun staff anywhere in London. It is available for exclusive hire daily and prices are negotiable depending on the date and party size. Receive 50% off your food bill for all your Summer events booked for this July & August. 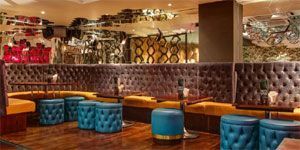 Surrounded by 100's of hexagonal mirrors and deep buttoned velvet booth seating, this semi private raised level area has an Art Deco feeling – your own section of the bar with dedicated bartender can be incorporate for an exclusive experience. Monday to Friday from £250. Our favourite area! 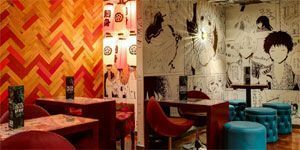 Inspired by the busy Tokyo district with bespoke black & white Manga cartoon wallpaper and retro furniture, this area has an edgy design feel with neon lighting and Japanese lanterns. 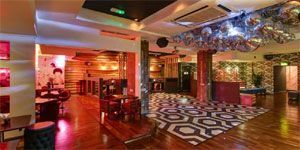 * Please note you can hire the "Boudoir" & "Shinjuku" together to create a superVip area – suitable for up to 80 guests. Mon-Tue from £250, Weds from £400 and Thur from £500. 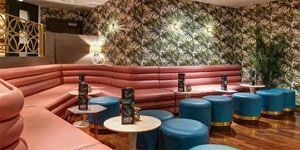 With its 'One of a Kind House of Hackney' wallpaper and salmon pink booth upholstering, this open plan area, next to the Dance Floor is the preferred choice for those who like to boogie - groups of up to 40 - Party time! 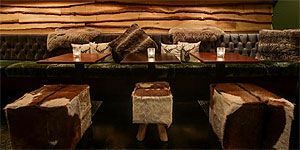 Spacious, with a old school ski lodge feel, this raised level semi private area is the perfect choice for Birthdays and Special Occasions! With luxurious sheep skins and cow hide seats through out. Lot's of seats and standing/dancing area - for groups of up to 40 guests.